The question is not, if a bridge will need to be repaired, it’s when, and how much it will cost, both in time and in money. City and municipal planners’ require multiple quotes before hiring a company to take on construction projects. 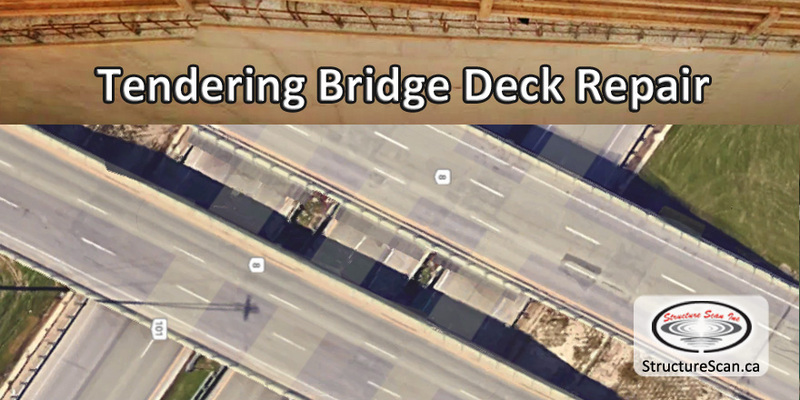 The chosen engineering firm is the gatekeeper of analyzing the status of the bridge, reporting structural recommendations, then putting the project out to tender. 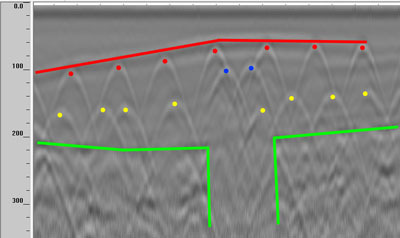 A GPR analysis prior to drafting the tender puts the engineering firm in the position to attract more accurate quotes from construction project planners. Confirming the structural components and concrete conditions ahead of time can prove invaluable when budgeting project timeline and cost. Vital information can include concrete integrity, rebar depth, anomalies, concrete thickness, the location of beams and piles. Knowing this information when requesting a repair quote eliminates the need for the construction company to pad the quote for unforeseen problems. The construction company will benefit from their own GPR scans during the construction process and will anticipate identified concerns. Whether you're designing a new build, expansion or repair, our experienced professional team can help you save time and money by providing the valuable subsurface information you need, before you start.